Findley’s parents were worried. At 18 months old, their son was not reaching his developmental milestones. He had a limited vocabulary and was not interacting with other children his age. Findley’s pediatrician referred his parents to Abilis to evaluate their son’s delays. After diagnosing Findley with Autism, the professionals at Abilis helped his family understand his diagnosis and find the best practices to support their son. 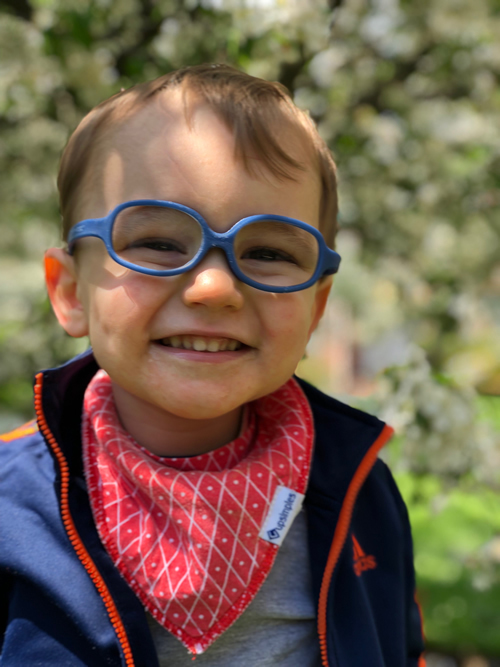 Through intensive Early Intervention services, the Birth to Three Little Learners program provided Findley and his family with a team of experienced therapists and special needs educators. His therapy included speech, occupational and behavioral therapies and, within a couple of months, Findley began to make progress in all areas of his development…small steps became big successes. When Findley transitioned to the public school system at age 3, he was speaking in simple sentences and no longer needed speech therapy. Abilis specialists helped Findley find his voice, paving the way for a successful transition to elementary school. Successful outcomes like these can’t happen without your generosity. During this season of giving, we ask you to renew your support for Abilis. Together, we can change more lives and help more individuals and their families achieve their hopes and dreams. Donate to Abilis today.